Human rights are based on the principles of dignity and freedom. Both are relentlessly deprived when human beings cannot meet their elemental needs. Economic and social deserving warrants’ that every person has access to appropriate education, right to a proper shelter, right to adequate standard of living, right to health and the right to science and culture regardless of one’s race religion, ethnicity or social standards. As such at all times it is important to assure that the basic rights are protected well and in any unfortunate situation it takes great power and authority to handle issues related to social rights. Sozialverband Duetschland (SoVD) is one such organization that has been around in Germany since 1917 till date. Serving for over 90 years SoVD is now equipped with both sharp skilled labour pool and the necessary financial aid to fund their missions. 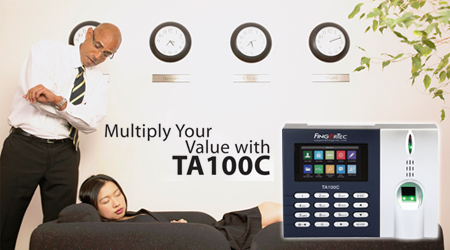 Housing over 1500 employees with 80 offices around Germany, SoVD recently has invested in a comprehensive time attendance device, TA100C from FingerTec. Our esteemed reseller in Germany, Secces GmbH Security & Access, installed a few sets of this device along with a subscription of 30 days free trial for TimeTec TA, which is a cloud-based time and attendance solution. Having to deal with employees at dispersed locations and the huge manpower head counts SoVD was determined to give TA100C a try, as it was finely geared with the pre-requisites that they were looking for in a time attendance system. Upon implementing TA100C and TimeTec TA, SoVD is now able to save time and automate the entire meticulous payroll affairs, such as calculating employee work hours and is completely able to eliminate human errors and oversights. The HR team is tremendously pleased with the system, as the recent appliance was working in convenience to a more precise and detailed payroll. They no longer have to worry about errors and omissions in processing the weekly/monthly payroll. Proper payroll management is as vital as the business’s income because it may result in wastages or lost if not managed appropriately. This was one of SoVD’s main concerns after experiencing a chain of payroll mistakes that TA100C and TimeTec TA were able to resolve swiftly. SoVD’s workforce mobility and dispersed locations caused the biggest challenge to ensure genuine attendance recording. With the implementations SoVD is now able to prevent time theft as attendance are recorded via TA100C which is a biometrics device that complicates an employee’s cheating process and makes it almost impossible to be dishonest with the clock ins and clock outs. Secces GmbH Security & Access, Germany has been doing a great job in providing the necessary technical assistance and adhering to SoVD’s post purchase needs. With a pleasant experience with both the device and Secces GmbH Security & Access’s service, SoVD is so far happy with the recent changes in their office environment and are looking forward to cultivate a great working culture within their organization.